Twin-stick shooters have risen in popularity on consoles over the years thanks in part to simplicity and the ability to create a dynamic and exciting game using only the most basic of controls. 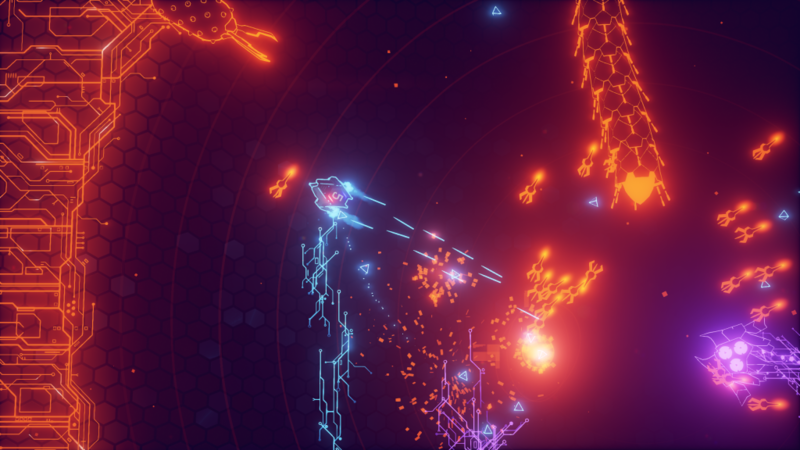 Geometry Wars helped pioneer the genre and will continue to be the pedestal to what all future shooters measure themselves up to in the coming years. While similarities are abound, AIPD does a lot of things like Geometry Wars, but the few new ideas it has added make it one of the best arcade shooter titles out right now. Despite the name, AIPD (Artificial Intelligence Police Department) really has no story to it. The game wastes no time throwing you into the foray and telling you what to do. Using the two joysticks, you glide around the screen shooting at enemies. The left joystick controls which way you go while the right joystick turns your ship on a 360 degree axis. 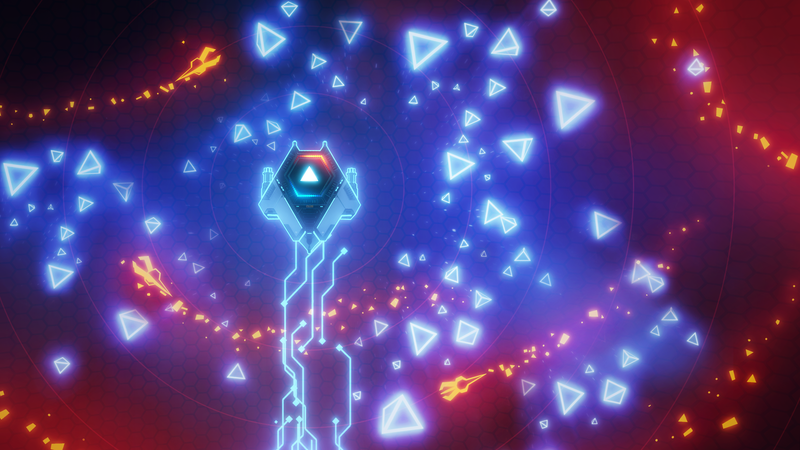 Using the right trigger button unleashes your main primary weapon while the left trigger unloads a special power up. The simplicity of the controls should not be overlooked, because unlike other shooters that require you to simply hold down two buttons for unlimited shooting capacity, AIPD has managed to give players new and exciting ways to strategize. The main ship you control in AIPD comes equipped with a shield that will stay with you until it is fully depleted. Rather than having a set of lives that will respawn when you get hit by an enemy, your shield will gradually lose health when you are damaged. Get hit when you no longer have a shield and it’s game over. Adding this effect helps keep the flow of the game present as you no longer have to stop and reboot. To make things even more frantic, your ship also has an overheat meter for your main primary weapon that will force players to not hold down the fire button and just let loose. Doing so will overheat your weapon causing a miniature explosion that will damage you as well. Grouping this with the never ending swarm of enemies trying to kill you makes for a much more balanced and strategic style of gameplay. Once you get the hang of the controls, the basic core of the gameplay is simple, use your ship to get rid of the various enemies on screen. They range in various sizes and each has their own distinct movement and attack style. While most of the enemies are hell bent on killing you, some of the enemies deploy attacks that will disable your primary weapons for a short time or cause your weapons to overheat faster. Knowing what each enemy does and how to counteract it is only half of the battle. Instead of playing one round games that last until you die, AIPD has you knocking off fifteen consecutive waves of enemies, with a massive boss at the end. While clearing out waves by itself might seem repetitive, after each successful one you are sent to a new screen where you must pick a new bonus amplifier. These bonuses alter the way the game flows, however, they’re always against your favor. For example, some of the bonuses will give drones faster speed while others will make it so some of the others have a shield on them, requiring more hits to defeat. Every bonus you choose lasts till the end of your game and your bonuses, once added up, can end up being over 1,000 if you can play things correctly. Enemies also drop small shards that are worth one bonus point if picked up, so the ceiling for which the multiplier can be obtained is endless. Picking the bonuses to work against you might seem daunting, but thankfully as you progress in AIPD, so does your ship. As you gain enough experience and earn enough points, you can begin to unlock new weapons and chassis for your ship. The weapons can range from gatling guns, which fire a constant barrage of bullets, to a shotgun that fires a spread attack in a larger range. Your chassis can be chosen for your selected play style as well, ranging from light armor but faster speed models to options in the other direction as well. This coupled with the random power ups you can pick up, such as bombs that destroy everything on screen, and the ability to slow down time make it so every match is never the same. Changing between different load outs and bonuses will always have you enjoying a brand new experience every time you play. 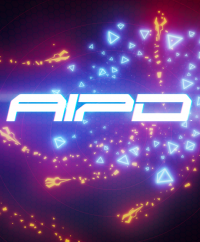 Thanks to the Unreal Engine, AIPD also looks fantastic, with bright neon lights splattered on the screen and dozens of bright lights exploding during every match. Although the enemies lack design, the colors and style will make you forget just how bland they look. If you so happen want to mix things up a bit, you can team up with four friends and play local co-op, which ups the amount of multipliers you can acquire and the number of enemies swarming you at once. There are multiple leaderboards you can follow that show how you stack up in each mode, but for some reason there is no friends leaderboard available at this moment, which is one of the main bragging factors in a game like this. You can call it a Geometry Wars clone and you may be right, but the additions AIPD offers make this the go-to twin-stick shooter from now on. From the bonus multipliers that stack the deck against you and the ability to choose your specific armor and weapon layout, AIPD adds a new breed of strategy to a genre that seemed like it didn’t need it. 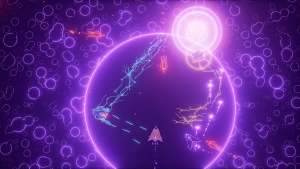 From the bright neon lights to the slick and fluid gameplay, AIPD has reinvented the twin stick shooter. If AIPD is the first game Blazing Badger has to offer, the future looks bright for them. The Xbox One version of the game was provided by the publisher for review.